For the library in Maine, see Oakland Public Library (Oakland, Maine). The Oakland Public Library's main library is in Downtown Oakland. The Main Library has occupied its present location at 125 14th Street near Lake Merritt since 1951. It is one of the largest public library facilities in the Bay Area. It features popular reading materials, business resources, government publications, videos/DVDs/CDs, maps, and a computer lab for the public. It is also houses the Oakland History Room, including primary materials and unique books that explore the history of the East Bay; a large and active Children’s Room; and the TeenZone. Adaptive technology is available for persons with disabilities at this and other sites. Call (510) 238-4974 for more details. As of 2018 the Oakland Public Library has 16 branches. Dates listed in the following list of current branches indicate the year the branch was established and, if the branch has since moved, the year the current location opened. This branch is jointly operated with the Oakland Unified School District and serves two elementary schools as well as the neighborhood. Construction funding included grants through the California Reading and Literacy Improvement and Public Library Construction and Renovation Bond Act of 2000 (aka Proposition 14). 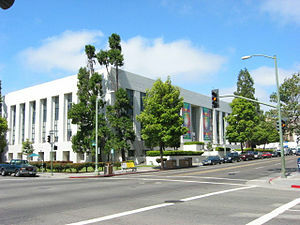 This branch, now named after worker rights activist César E. Chávez, was formerly named the Latin American Library Branch, and was established in 1966. It was one of the first public libraries in the United States to offer services and materials in Spanish, and was the first library branch exclusively dedicated to the Spanish-speaking community in the United States. This branch, now named after civil rights activist Martin Luther King, Jr, was originally established in 1916; it was named the Lockwood Branch in 1929. In 1970, it was replaced by a new facility, which is the present library. It features a black history collection, containing books written by or about people of African descent. This branch had been on 41st Street at Piedmont Avenue since 1932, but had to move when the building owner raised the rent. The library is now on the grounds of Piedmont Avenue Elementary School. The Temescal branch houses the Temescal Tool Lending Library, one of the few of its kind in the Bay Area, which allows library patrons to check out tools for various kinds of repairs and home-improvement projects, as well as books, videos, and other instructional materials. The African American Museum & Library at Oakland. The African American Museum & Library at Oakland (AAMLO) is a non-circulating library that archives historic collections and reference materials documenting the African American experience in California. Among the more than 160 collections in the library are archives relating to Martin Luther King, Jr., Malcolm X, the Black Panthers, Africa, and genealogy. Materials include photographs, manuscripts, letters, diaries, newspapers, recorded oral histories, videos, and microfilms. AAMLO’s two galleries host changing exhibitions of art, history, and culture. ^ Oakland Public Library. History Archived June 12, 2009, at the Wayback Machine. Retrieved on July 8, 2009. ^ "Proposition 14: California Reading and Literacy Improvement and Public Library Construction and Renovation Bond Act of 2000". lao.ca.gov. Retrieved 2018-09-05. ^ "Martin Luther King Jr. Branch". Oakland Public Library. ^ Davis, Linda (29 November 2012). "Piedmont Avenue Branch Library's grand opening on Saturday". The Mercury News. Bay Area News Group. Retrieved 5 September 2018. ^ "Temescal Tool Lending Library". Oakland Public Library. ^ "Discover AAMLO," a brochure of the facility, published by the Oakland Public Library.